A scenic vertical picture taken of Mt. Rainier and its' reflection seen in Reflection Lake which is part of the Mt. 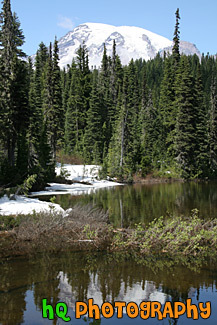 Rainier National Park. This photo was taken during the summertime.